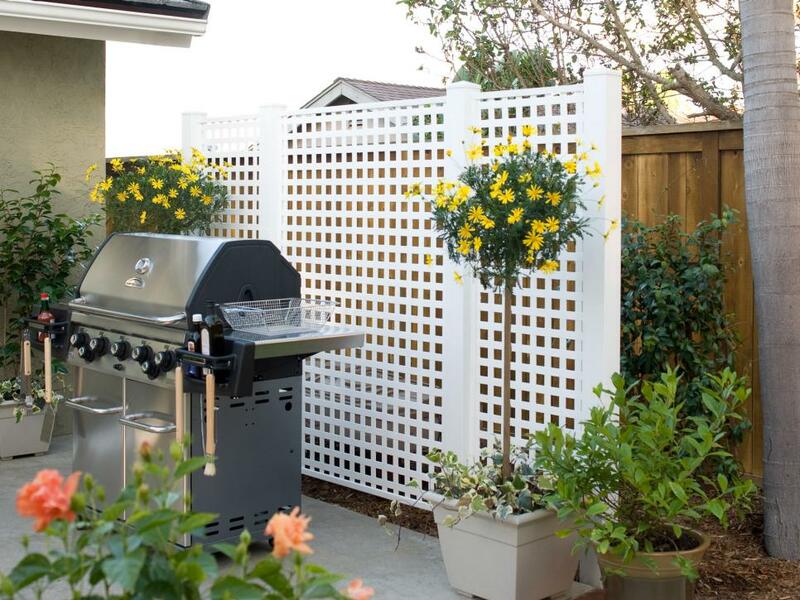 Frame a small patio with a bright lattice grill screen, which enhances privacy and gives a room-like feel to an outdoor space. This screen project uses 4×4-foot posts to serve as an outdoor wall, define patio space and help hide plastic storage bins. 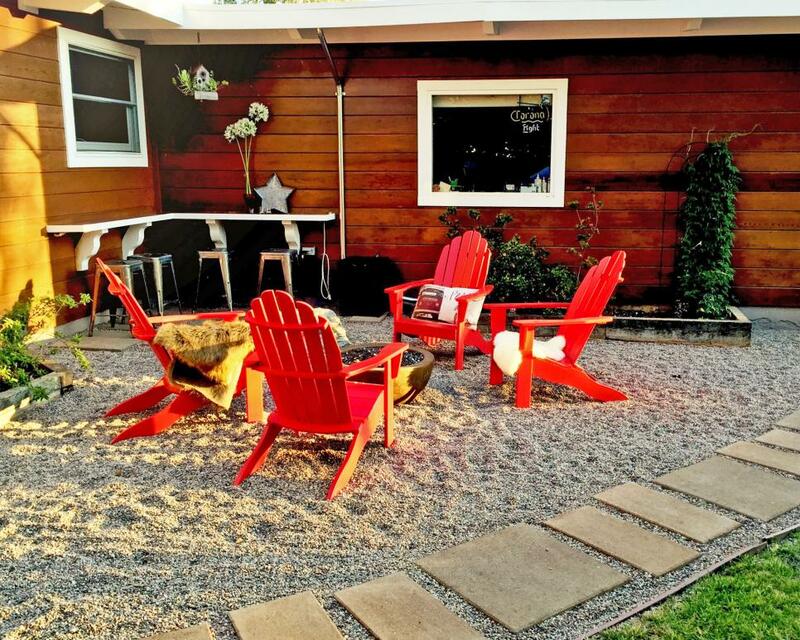 Take a corner of your patio and put it to use as an entertaining space. A bar is built in under the kitchen window in this outdoor space with a fire pit by DesignFix, a California interior design company. The bar, which has a red acrylic top, is supported by decorative wood roofing brackets. Rope lighting underneath makes the bar look cool at night, says designer Amanda Giles. 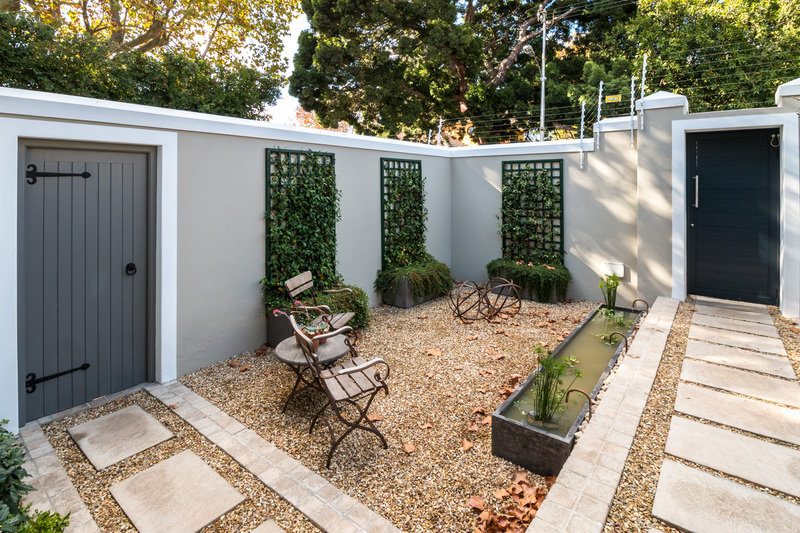 The contained nature of a small urban courtyard gives you a huge opportunity to bring in a cool feature. 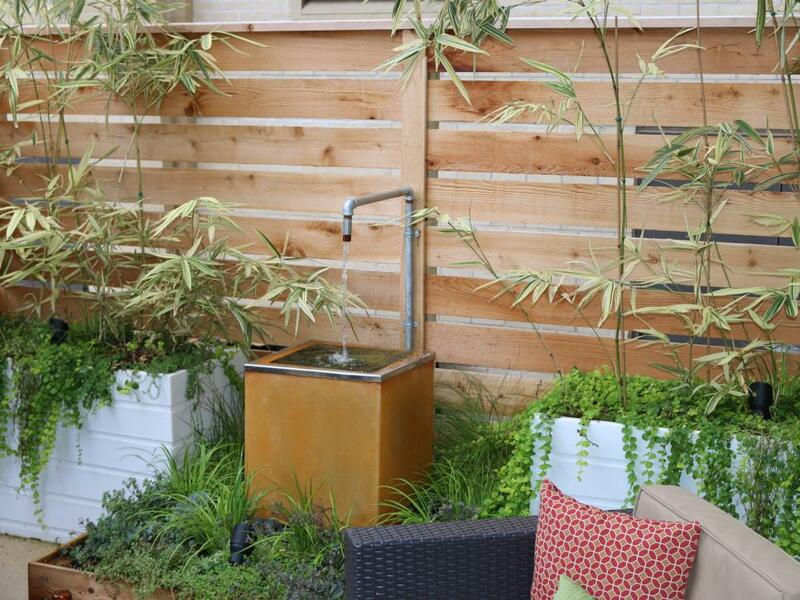 Cultivators Design and Landscape purchased the orange container and retro-fitted a fountain for a custom industrial water feature. A fountain also can be cheaper than a waterfall. You can recreate the look as a DIY project using a garden pot you already own or by hunting at yard sales. 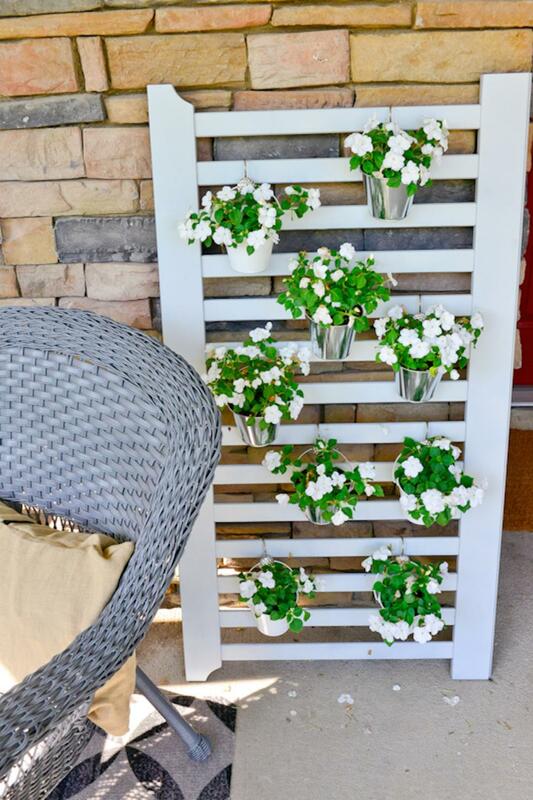 A small space is a great place for a vertical garden, and this one cost less than $10. Design blogger Alaya Sheardon used a crib frame that was headed for the dumpster. She found pails for $1 each and poked holes into the bottom to help drain water. She hung the cans from shower curtain hooks and spray painted the frame bright white.